Overseas Military contacted Linx for a strategic growth plan to get all staff and customer touch points on board and on the same page. Linx set out to remold OMSC’s business strategy, expanding and extending the company’s offerings from its family to its customers and their families. Our strategy was to collectively paint the big picture to drive lifelong relationships and enhance the quality of the lives of OMSC’s customers. 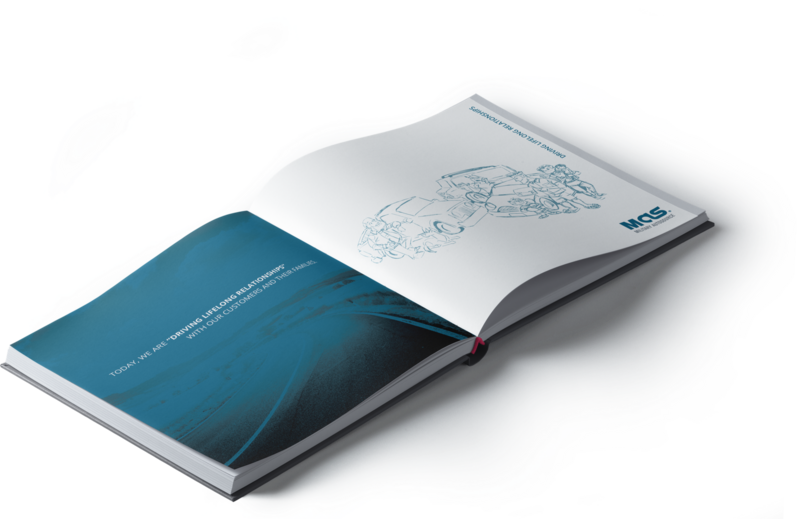 We created a unique vision book complete with graphic illustrations and core marketing messages to outline OMSC’s mission, vision and goals for the organization. Linx created custom illustrations to communicate the big picture of the brand to staff members through playful and unique images. Through the collaborative effort of many people throughout all levels of the company, Linx helped transform the organization, strategically portraying its culture of innovation, creativity, and entrepreneurship. We expect OMSC to win in 2015 and beyond. As a new company launching new food products, Brooklyn Food Group approached Linx to create a brand identity, as well as packaging for their NYC made bagel line. Smash Studio contacted Linx to create its initial website deployment and identity program.